Although many are reluctant to accept it, there are a number of anomalies that show us clearly that something disturbing happened in the past, that we have actually no idea what happened on Earth thousands of ears ago, yet the answers seem to be right in front of us. Some consider these findings as being crazy, some state that they have no solid background, but that might be just a small dose of fear inside mainstream scientists who are firmly holding onto their beliefs. Researchers from Russia suggest that one of those out-of-place discovers is the prehistoric bison that is believed to have been shot with a firearm, the only thing strange about it, is its age. The remains of the bison that has a bullet hole in the cranium are displayed at the Museum of Paleontology in Moscow, you can see a perfectly round hole that was supposedly caused by the impact of a projectile launched at high-speed. Researchers believe, even though they never found the remains of the projectile, that the hole in the cranium was caused by a bullet caliber similar to the ones we use today. Even more strangely, this animal is native to the region of Yakuzia in Eastern Siberia and lived in the region over 30,000 years ago! So what did we miss in history? Is it possible that highly advanced civilization existed thousands of years ago? Before our “modern history”? Another one of those strange cases is the so-called “Neanderthal hunter.” In 1921, the British Museum received a human skull found under curious circumstances. In a remote zinc mine located in Zambia, formerly called Northern Rhodesia, workers accidentally stumbled upon a mysterious cavern. The cave was crowded with human remains, all impressions gave the idea that the place was some kind of prehistoric cemetery. Recovery efforts of the bones were very clumsy and only a small amount of the bones ended up in hands of researchers, but among those bones, researchers found the so-called Broken Hill Man or Man of Rhodesia. 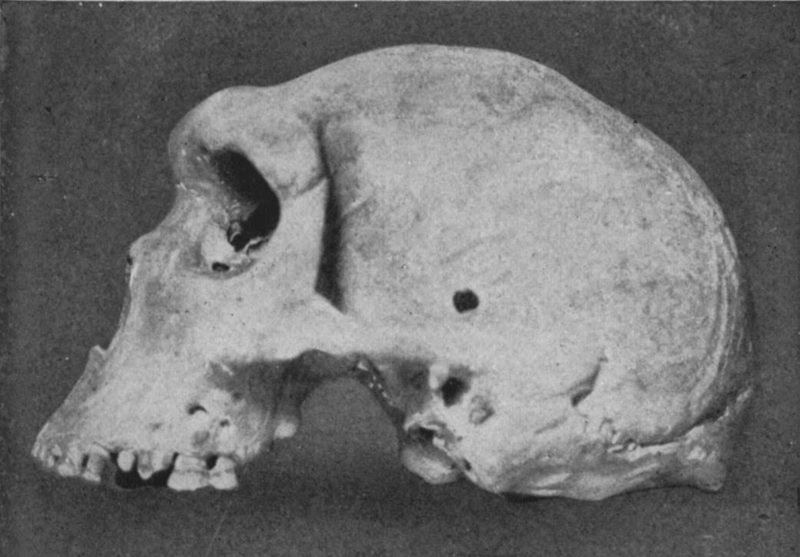 At first, the skull was classified under the category of Homo heidelbergensis, researchers even doubted it was a hominid mainly due to its size. After careful studies, researchers placed the Broken Hill Man or Man of Rhodesia into the African Neanderthal lineage. But studies of the skull came out with two interesting things. First of all, the being lived several millions of years ago, and the subject suffered from a mental illness. More mysteriously, on both sides of the skull, two perfectly round holes were located, entrance wound and exit wound, both with the same diameter. 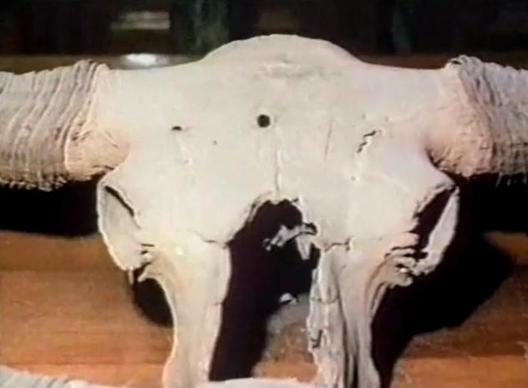 This has been one of the main mysteries regarding the Man of Rhodesia as experts have no clue what could have caused such perfect holes in the cranium. According to Professor Mair, it is possible that the wounds were caused by some sort of bullet. The possibility that the wounds were caused by a spear has been discarded as the wound would look very different. So how is it possible that there is evidence of bullet wounds on a being that lived several million years ago? This has been just one of those cases where science literally said: Well, we have no idea.